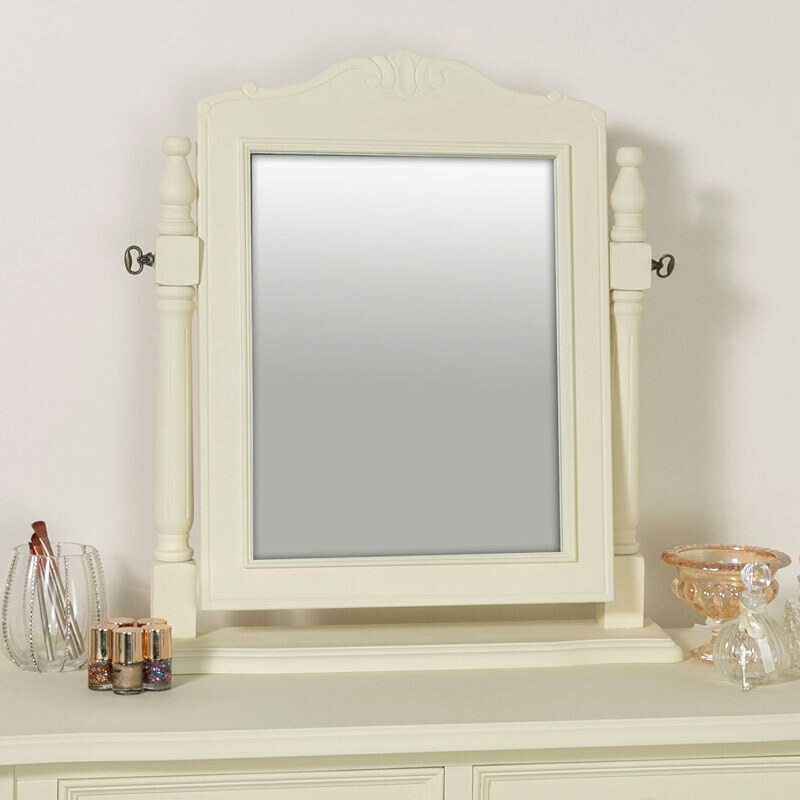 This stunning standing, vanity/makeup mirror will make a stylish addition to any bedroom or bathroom and forms part of our Elise Cream Range. 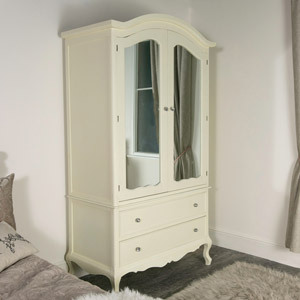 Swing style design that adds a vintage French, shabby chic look and will be ideal for that luxuriously glam interior. 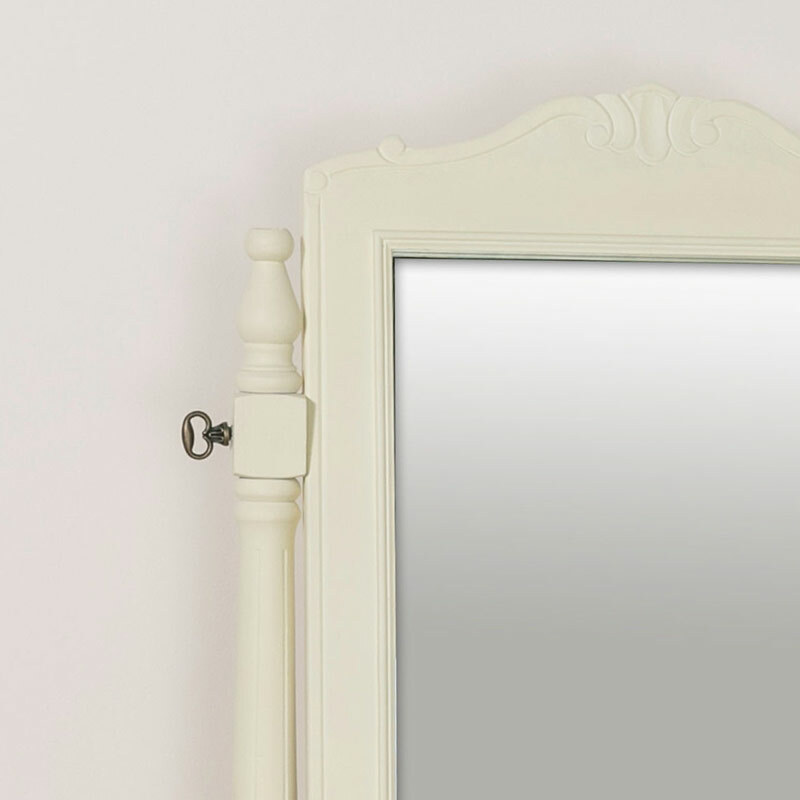 The perfect companion to our Elise Cream Range dressing table, the mirror comes in a swing style that allows the angle to be adjusted to suit. 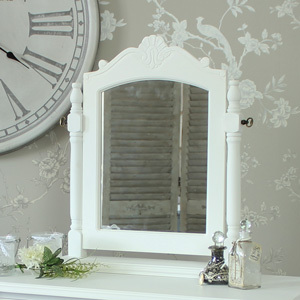 Ornate carved features grace the top of the mirror and will look beuatiful in an elegant French themed bedroom or boudoir. 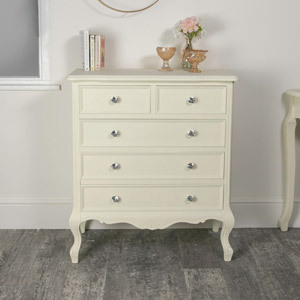 Sturdy freestanding design that can be used as a standalone piece or matched with the furniture from our Elise Cream Range. This stunning standing, vanity/makeup mirror will make a stylish addition to any bedroom or bathroom and forms part of our Elise Cream Range. 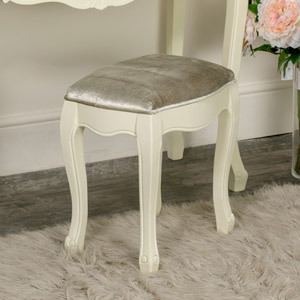 Swing style design that adds a vintage French, shabby chic look and will be ideal for that luxuriously glam interior. 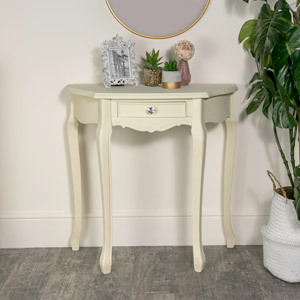 The perfect companion to our Elise Cream Range dressing table, the mirror comes in a swing style that allows the angle to be adjusted to suit. 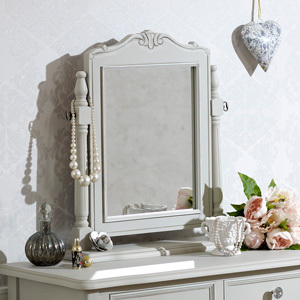 Ornate carved features grace the top of the mirror and will look beuatiful in an elegant French themed bedroom or boudoir. Sturdy freestanding design that can be used as a standalone piece or matched with the furniture from our Elise Cream Range. 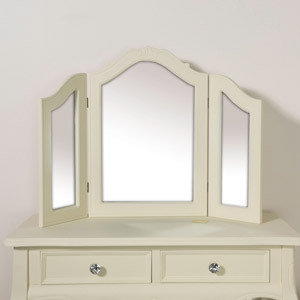 Constructed with a mirror in a Cream painted wood frame and fixed into a wooden stand to allow for adjustability. The mirror requires minimal assembly which involves attaching the mirrored section to the standing frame (fixings included). 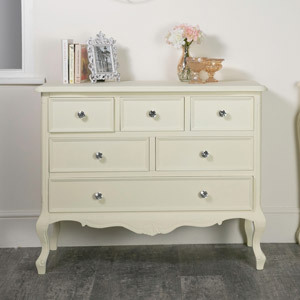 We have a great choice in furniture from our Elise Cream Range that will allow you to create your perfect bedroom set.